P&C Stone Work and Landscaping is committed to excellence in every aspect of our business. We uphold a standard of integrity bound by fairness, honesty, and personal responsibility. Our distinction is the quality of service we bring to our customers. Accurate knowledge of our trade combined with ability is what makes us true professionals. Above all, we are watchful of our customers’ interests and make their concerns the basis of our business. Each project is carefully designed to maximize the outcome of your investment. Transform your property into the landscape of your dreams with P&C Stone Work and Landscaping. We provide several landscaping / irrigation techniques that will surely cater to all of your gardening needs. We can install a simple, straightforward design, or we can create a customized design based on your preferences and specific needs. We can create an inviting walkway that will enhance your front entry or create a unique path to your backyard, patio or pool area. 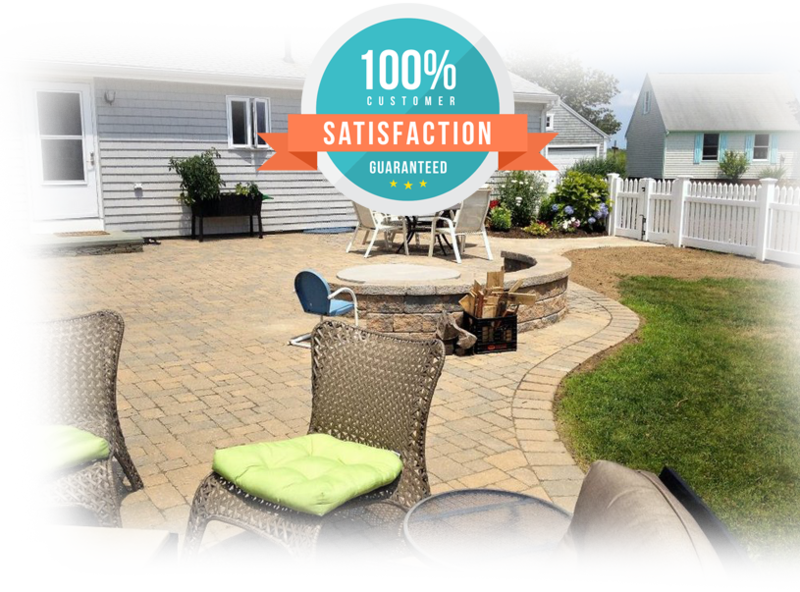 A professionally designed and installed hardscape is an investment that will enhance your landscape and add value to your home. P&C Stone Work and Landscaping. in Braintree, MA, offers many different types of fencing and installation services. Serving our customers with quality work for over 15 years. Very nice people. They did a great job installing my new fence. Quality work all around. They went beyond what was included in the price. I would recommend Romulo and his crew, Rogerio and Tulio, and hire them again for any work I might need in the future. Romulo and his team rebuilt a 50-foot granite stone retaining wall on the side of my house. Romulo's service and attention to detail were outstanding. He made smart recommendations from the outset and followed through on every aspect of this two-week project. He and his men carefully removed and replanted our yard bushes to clear a space for their work, communicated effectively with my neighbor about temporarily encroaching on his property, installed a sophisticated drainage system behind the retaining wall, and even fixed part of another retaining wall at the front of my house at no extra cost. Very personable and professional. Highly recommended! Very knowledgeable and did a fabulous job. They installed a fence and my yard sloped. Before they did a step down with the fence they explained why. P&C Stone Work installed a fence at my home in Quincy this past October. They also cut down several yews on the property. I was very happy with the quality of the work they did for a very fair price. I highly recommend this company. We had them put in a Cedar fence in our side yard. The price was fair the workmanship was great the two men that came to do the job worked very hard and well together they cleaned up the work site beautifully We would have them back again and we recommend them. Get all updates of our offers and promotions! P & C Stonework & Landscaping specializes in landscaping services. The business services include, but are not limited to new lawns, lawn maintenance, irrigation, planting, pruning, sod and mulching, sidewalks, walkways, hardscape, and snow removal. Give us a call today for a free estimate with no obligation. P&C Stone Work and Landscaping is committed to excellence in every aspect of our business.